There are many good reasons for diversifying your organization’s current roster of approved plastics resin suppliers and your list of raw materials approved as fit for use in production. Some of your suppliers may be high cost producers or have all of their production at a single site subjecting your critical deliveries to substantial disruption in the event of a hurricane or other disaster. If some of your customers are asking for regular price reductions through “cost-down” programs it will be more difficult to satisfy their demands if you are dependent upon specific plastics suppliers or raw materials and unable to easily change them to lower cost alternatives. Beyond cost, incorporating performance improvements in your plastic products will be more difficult to achieve if you are limited to current suppliers and raw materials and lack the time or the in-house expertise to substitute better performing alternatives. In addition to plastics resin and performance additives selection and substitutions Mathelin Bay can offer you our experience in developing plastics compounds for use in various processing environments. Please feel free to contact us if you would like to discuss. Understanding how to gain various approvals for your plastic products can be time consuming, particularly if your organization has limited in-house technical resources which are often dedicated to either day to day challenges or focused on longer-term new product development. Working with Mathelin Bay we can help you navigate various certification and testing protocols without your having to be dependent on plastics resin supplier or plastics additives suppliers for assistance that might lock their particular products into your Bill of Materials for years to come. Increasing regrind content can also be quite challenging for producers of rigid plastics containers that are faced with post-consumer regrind regulations in places such as California. In addition, there is often value in understanding that there can be real cost disadvantages from simply adding greater and greater amounts of a specific additive to achieve particular performance characteristics in your plastic products. Adding too much color concentrate or UV additives, for example, often trades lower cost plastic resin for much higher cost additives without any real performance gains beyond certain levels of additives or colors. 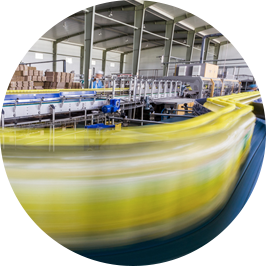 Specifying and negotiating for new plastics processing production equipment can sometimes be a multi-year process that requires substantial time and resources, especially if the type of equipment is new to your organization or if the requests for proposals are made to a variety of international suppliers. Sorting through the trade-offs between low cost and high performance in processing equipment also requires a set of special skills that Mathelin Bay can provide for your company when you are contemplating investments in capital equipment for plastics processing.